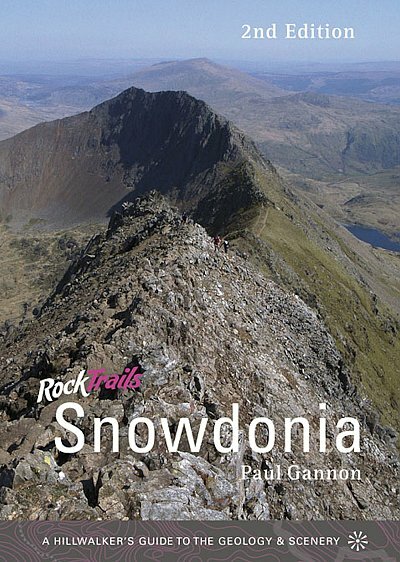 This book explains to the hillwalker, in easy to understand but accurate terms, how geology has shaped the landscape of Snowdonia. A selection of seventeen guided walks is used to illustrate this in terms of what can be seen on the ground. This book, divided into two parts, is intended to help those who love Snowdonia's mountain scenery to understand how this haunting landscape came about. The first half narrates the story of colliding continents, volcanoes, mountain-building and glaciations in creating Snowdonia, explaining why volcanoes occurred, the rocks they created and how to interpret signs of mountain-building and glaciations on the ground. The second half describes several recommended walks, of differing levels of difficulty, but all with a wide variety of geological features to be seen and, most important, enjoying consistently fantastic views of the very best of Snowdonia's wonderful scenery. The author has concentrated on what you can see as you walk around the hills, pointing to conspicuous, easily seen features in rocks and the overall shape of the terrain in accounting for the present day landscape. New in this 2nd Edition - coverage of Southern Snowdonia; new improved maps; five new walks. Also in this series by Paul Gannon - Rock Trails Lakeland; Rock Trails Peak District; Rock Trails Scottish Highlands. Paul Gannon is a keen hillwalker and a science and technology writer. He is the author of Colossus: Bletchley Park's Greatest Secret, a widely praised account of the birth of the electronic computer as part of World War II code-breaking operations. He has written for many newspapers, magazines and websites, including the Guardian, the Independent, New Scientist and Times Online. He has also edited several magazines, including Advances Wales, a magazine about innovation in science, engineering and technology in industry and universities in Wales. He has lived and worked, at various times, in North Wales, Swansea, Cardiff, London, The Hague and Brussels.